Resume databases kickstart the recruitment process. Although they do benefit job seekers, they are also advantageous to HR professionals. As an HR professional yourself, you need the most efficient way to sort through resumes. Therefore, you need the best resume databases. To find them, read on. You will discover the best features of resume databases for hiring. First off, search for resume databases that offer a matching algorithm. This tool will save you time and stress. All you have to do is enter keywords. Then, sit back, relax, and wait for your matches to appear. The machine learning matching algorithm sorts through all of the resumes on the database. As it does so, it grabs the ones that include the keywords you entered. Databases can sort through them much quicker than you can. Look for this feature when determining the greatest resume databases. Look for industry-specific categories in resume databases as well. Many job boards perform searches through multiple industries. This creates a more time-consuming search. Imagine you are looking for a corporate travel manager for a fortune 500 company. You might end up with tons of resumes. However, they may be searching for other types of managerial roles. You will not benefit from receiving five resumes for construction managers. This will be your outcome if you use a database that does not specify based on industry. Therefore, only work with resume databases that do provide such specificity. Another feature to consider is a performance-based rate. You may be under the impression that free is the best. Unfortunately, free is not the best when it comes to resume databases. The free databases usually do not offer the features you need. However, subscriptions can get pricey. Look to those that offer a performance-based rate instead. Such a rate may be based on clicks, applications, or even hires. Regardless, you are more likely to get more for your money. Find resume databases that offer this feature for the best results. The ability to keep track of candidates is also beneficial in resume databases. Often times, HR professionals come across high-quality resumes that they cannot use at the moment. A week or two later, they discover that they can use it. When they are ready to consider it, they cannot find it through the vast world of resumes. With the ability to keep track of first-rate job hunters, you will not have this issue. Rather, you will be able to access their resumes when a fitting job opens up. Hence, you can save valuable time on resource management with this feature. Finally, consider resume databases that send email alerts. Tons of recruiters use resume databases. Therefore, you have competition. Have you ever seen a fantastic resume too late? Perhaps you reached out for an interview only to find that they have already been hired. Resume databases that offer email alerts prevent that from happening. When a relevant resume appears, you will receive an email. You will have more of a chance of beating out the competition. Email alerts advance HR professionals using resume databases. The recruitment process can go very smoothly with resume databases. 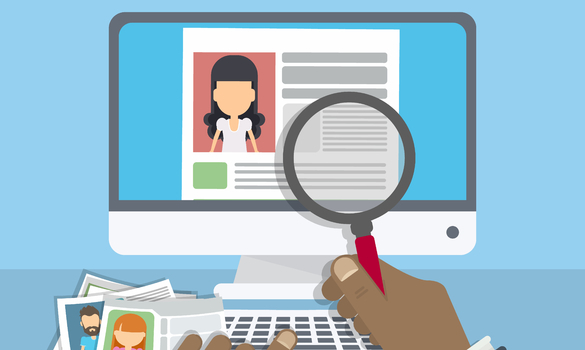 To ensure you can find the best candidates, consider the best features for your human resource training. Firstly, search for matching algorithms. Secondly, find systems that offer industry-specific categories. Also, look for a performance-based rate option. The ability to keep track of candidates is advantageous too. Lastly, consider email alerts. These are all features to look for in order to find the best resume databases.